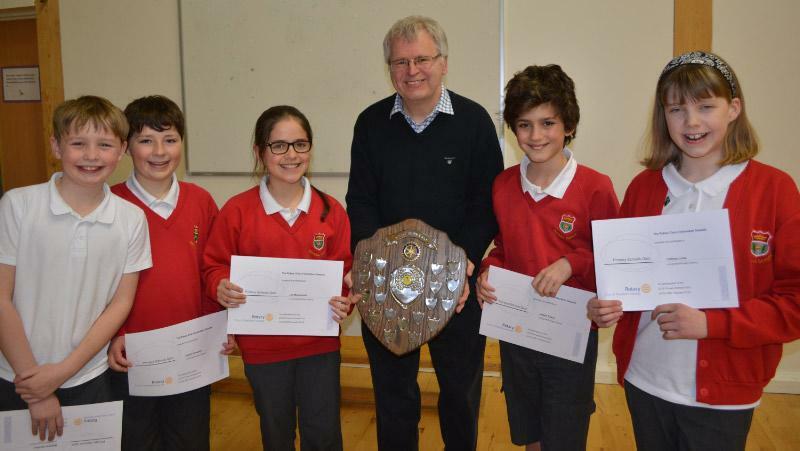 Rotary Primary Schools Quiz Competition. 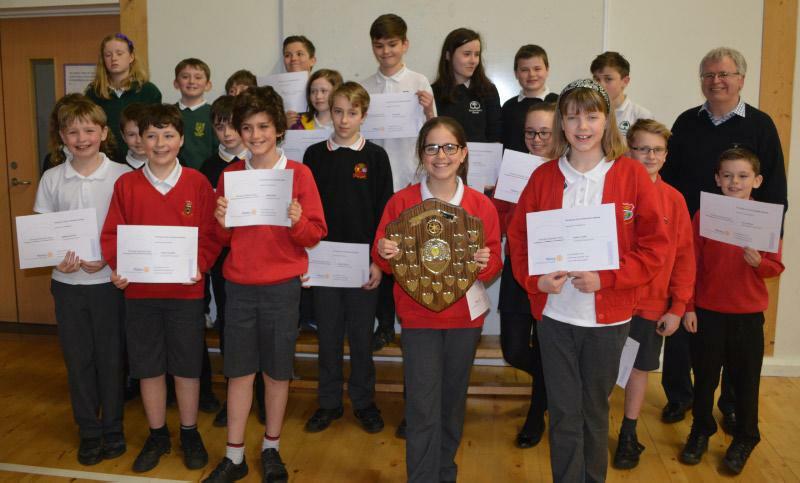 On February 29th 2016 five local Primary Schools in the Aberdeen Deeside area battled it out to go through to the next round of the Rotary Primary Schools Quiz competition. All of the participants are pictured with Aberdeen Deeside Vice President Brian Stephen. Teams of 4 pupils each tackled 60 questions, 6 questions per round, on a range of topics - Math’s, Literature, Music and the Media, Science, History, Geography, The Natural World, Current Affairs, General Knowledge, and Sport. All teams performed very well, but there had to be a winner and Airyhall won for a second year in a row with a score of 90, one point ahead of Cults. The winning team, Airyhall Primary School, pictured with their trophy and Aberdeen Deeside Vice President Brian Stephen, go on to compete next in the Area heat of the Rotary District 1010 Competition. The Rotary Club of Aberdeen Deeside sponsors this event annually.